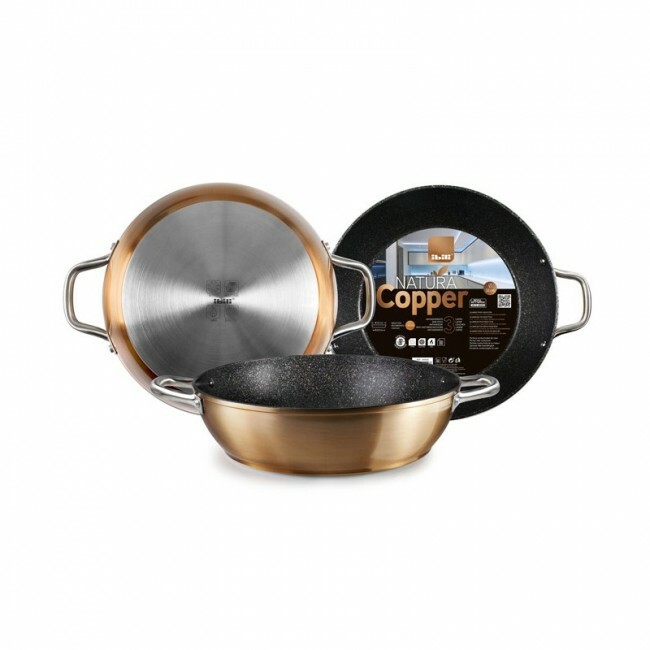 This Natura deep copper pan is perfect for a daily use. In order to preserve the quality of this copper product, it is advisable to avoid overheating by leaving it empty or using metal material to maintain it. The pan also has a very good grip. This Natura deep copper pan is perfect for a daily use. In order to preserve the quality of this copper product, it is advisable to avoid overheating by leaving it empty or using metal material to maintain it. The pan also has a very good grip.